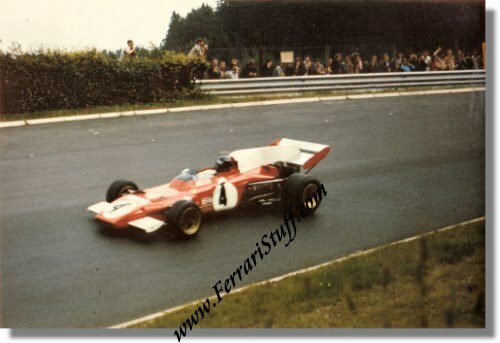 Vintage 1972 color photo of Jackie Ickx on Ferrari 312B2 72 at the Grand Prix Germany at the Nurburgring. 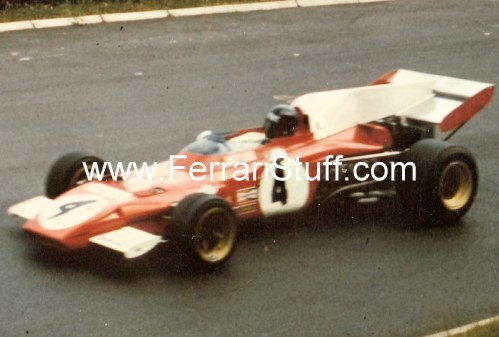 This is a vintage & original color photo of Jackie Ickx in his # 4 Ferrari 312B2-72 enroute to victory in the 1972 German Grand Prix at the Nurburgring. It measures some 4.5 x 3 inches (11.5 x 7.5 cm) and is in color.